To receive more details about our expert domestic or commercial upholstery and sofa cleaning service, do not hesitate, but contact us right away. Get in touch with us via the online booking form or by calling us on this phone number 020 3746 5234! We offer free consultations and emergency reservations, too! 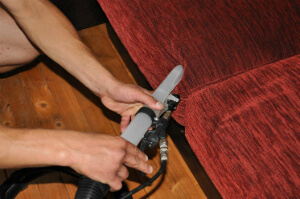 Our sophisticated Sanderstead CR2 sofa and upholstery cleaning services are suitable for residential and commercial purpose. Every one of you can benefit from it: property managers, home owners, tenants, office and big corporate buildings. Real estate agencies and landlords get special discounts for our services. It is not a secret why we are so successful. We just love our job and we never leave a place with unfinished job. We approach a customer individually and we accept all furniture types: cotton, synthetic, wool, linen, silk, viscose, organic fibre, suede, plush, chenille, leather, acrylic, nubuck. Stain removal is included in the price: grass, wide, blood, ink, urine, mud and etc. All cleaning tools, gadgets, detergents and machinery are provided by us. We use no dangerous techniques or chemicals that can put your kids or your pet in danger. Whatever your upholstery and sofa type is and no matter how dirty it is, we will accept it. We can remove any kind of stain: including coffee, grass, urine wine, blood, ink, and etc. 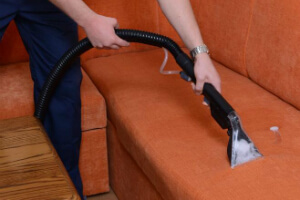 We have expertise in cleaning armchairs, divans, sofas, chairs, decorative and antique divans. We can also offer you smart solutions for leather upholstery depending on a modern leather foam cleaning technology. If you are suede upholstery holder, we can offer you fantastic deals on a budget with zero harmful impact on the fine material. Don’t spend more time, but make a reservation for our top-notched upholstery and sofa cleaning services in Sanderstead CR2 right now! Get a free quote today! Just give us a call on this phone number 020 3746 5234!